Deforestation. It’s a term that’s often heard but just as often misunderstood. What does it really mean? Does forestry equal deforestation? Deforestation is the permanent removal of a forest in order to convert the land to another use. Although it may be necessary in some cases, it’s a serious issue – it reduces biodiversity, can adversely affect ecological services such as natural water filtration and soil protection, and it contributes to climate change. Upadate: David Lindsay, President and Chief Executive Officer of the Forest Products Association of Canada (FPAC) recently took on the topic in a blogpost that explains just how much deforestation rates in Canada have declined over the past 25 years, about 30% below 1990 levels as of 2012. In Canada, the official rate of deforestation is very low – it affects less than 0.01% of the country’s forests each year, and that rate is actually falling! According to Natural Resources Canada, the deforestation in Canada is generally the result of land conversion for agriculture (43%), resource extraction (34%) or urban expansion (12%). But what about forestry operations? Do they contribute to deforestation? 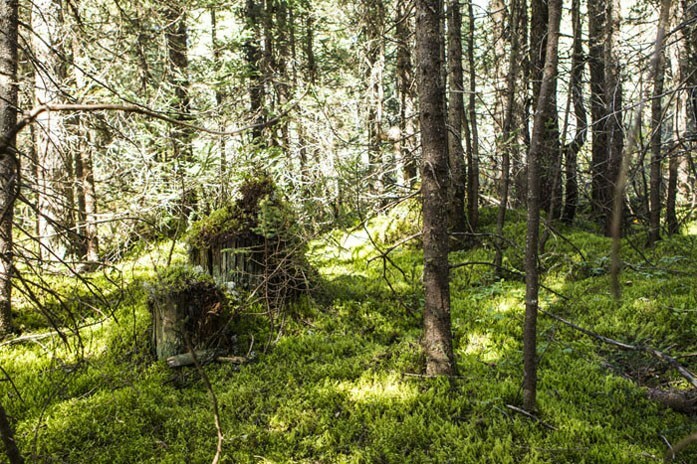 In Canada, an important part of forestry is regeneration – in fact, according to Canadian laws, all harvested areas must be promptly and successfully regenerated. To do this, we favour methods that promote natural regeneration wherever possible, and in areas where natural regeneration is not sufficient, we help Mother Nature along by planting seedlings or seeding the area. The harvesting methods we use protect the soil as well as the “established regeneration” – that is, the young forest that has been waiting under the mature canopy. These methods are tried and true, and based on the best available science of today. People who use forest roads see them narrowed by vegetation over the years. They know that forests regenerate after harvesting. The first colonists knew that too, when they cleared and maintained their small parcels of land by the sweat of their brows. Even after land has been used for agriculture, slowly but surely, it goes back to being a forest. Even fire doesn’t chase the forest away forever. In fact, in the Canadian boreal, fire is a natural revitalizer for the forest. You can see evidence of deforestation all around you, whether you live in a big city or a small town. For example, putting down asphalt to create a road transforms that environment almost irreversibly, preventing trees from ever growing there again. What about shopping malls, parking lots, ski trails, power lines and residential developments? The forest will never return to any of those areas, but a carefully managed working forest will be around for many generations to come. It’s the job of our foresters to ensure that the woodlands we harvest to make products we all use are renewed and managed sustainably, and we wouldn’t have it any other way. For more information on how we harvest trees sustainably, please visit Boreal Forest Facts.